When you use Keepsafe VPN, you are getting several benefits. The websites and servers you connect to won't know where you're connecting from, making it more difficult for them to know who you are. Your ISP also cannot tell what you're doing, stopping them from throttling/blocking your traffic or collecting your browsing data for advertising. IT administrators are likewise prevented from snooping on your browsing behavior. And when you are on public WiFi networks, like at coffee shops and other gathering places, the protection from Keepsafe VPN is especially necessary. Bad actors in these situations can, without the protection of a VPN, steal very sensitive data that you would have thought was being shared just between you and the websites you connect to. 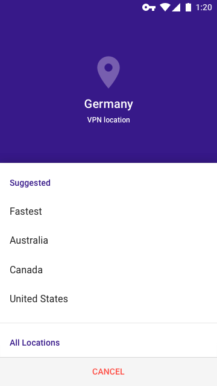 Keepsafe VPN is simple to use. Once you create an account, it takes just one tap to get started. 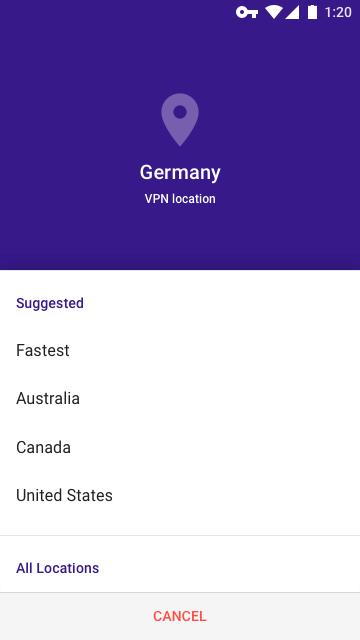 Keepsafe offers a fast VPN service with 16 server locations worldwide. They do not keep logs of your browsing data, so even they do not have privacy-compromising information about you. If you want, you can avoid browsing via the VPN when you are connected to networks you trust. 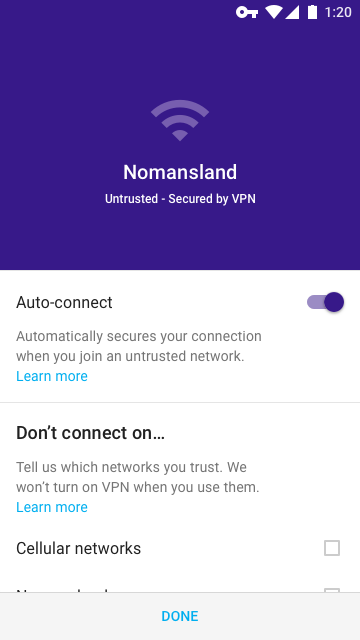 In the far left screenshot above, you can see how the Keepsafe VPN app lets you select any networks you might want to exclude from VPN protection. Otherwise, by default Keepsafe automatically connects you to the VPN so you don't have to do much thinking to be protected. You can choose a specific locale — great if you are trying to avoid geographic restrictions — or let Keepsafe choose whichever is fastest based on server load and your current location. All of your apps are covered by the VPN, so don't worry about having to change any of your current workflows. If you set up Keepsafe, you're protected; it's that simple. 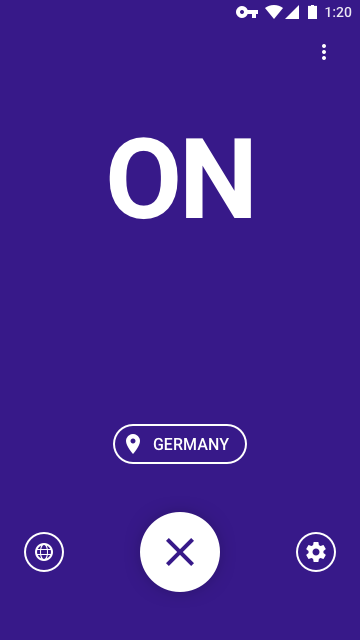 To try out Keepsafe VPN, just head over to the Play Store and get started.